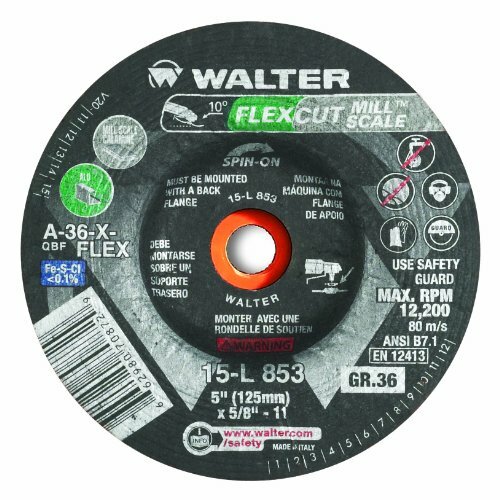 Walter Type 29 Flexcut premium performance leading flexible grinding wheels are specially formulated to deliver superior performance on all ferrous and non-ferrous metals. Deep Diamond-Cut pattern and optimized formulation. More flexibility, best handling on flat and curved surfaces. 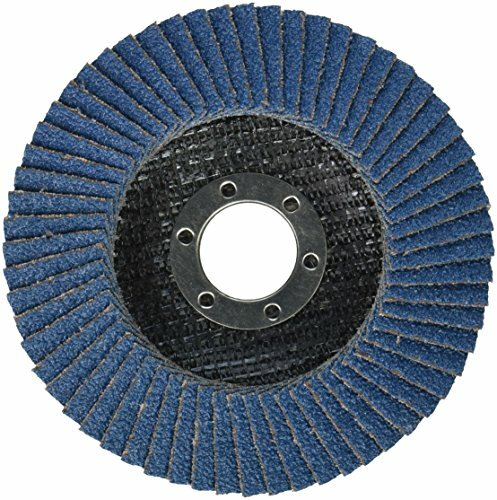 Cooler grinding and better stock removal in all materials (steel, stainless steel, aluminum). Use with 1/4-inches mandrel. Always use Spin-On wheels with back flange. 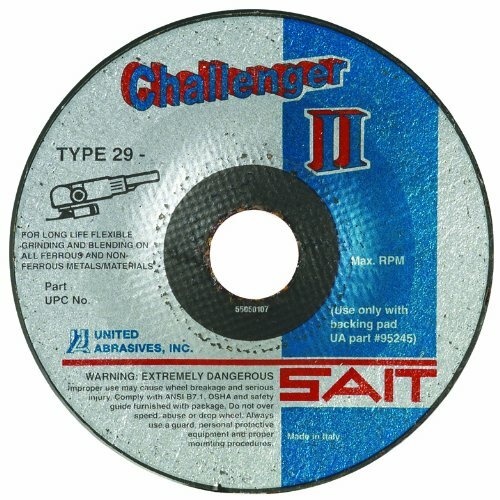 SAIT 27501 Flexible Grinding/Blending Wheel Type 29. Aluminum oxide grain. 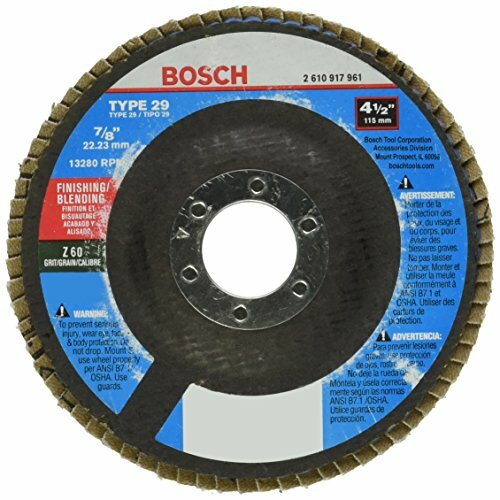 Open pattern on wheel or cool grinding and blending. Safe for use in the nuclear industry. Type 29 shape allows easy control in grinding and blending applications. Honeycomb, dimpled pattern on face allows for greater cooling action and longer life. For use on metal, stainless steel, aluminum and concrete. 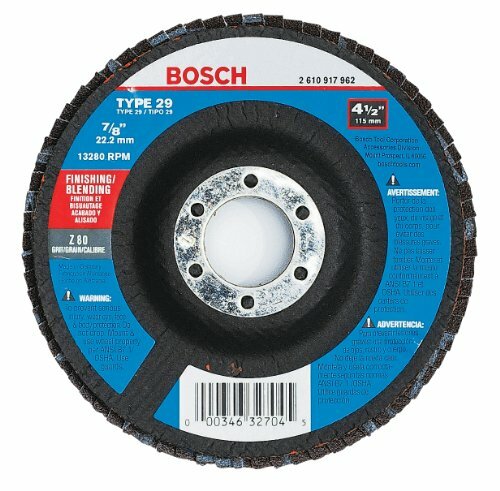 Bosch premium-grade wheels are constructed of high-quality material for metal, concrete, masonry, pipeline, asphalt and stainless steel cutting. 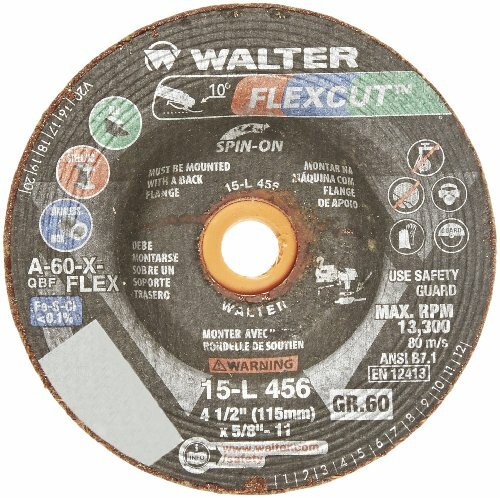 Easy-to-read labels are incorporated into the manufacturing process and therefore remain intact throughout the life of the wheel. Carefully formulated Reinold bonds are applied to meet the unique specifications of each wheel and multiple layers of long, stranded fiberglass are woven to form an exceptionally strong reinforcement layer specific to the application. Bosch uses only superior virgin grains made to exacting specifications. 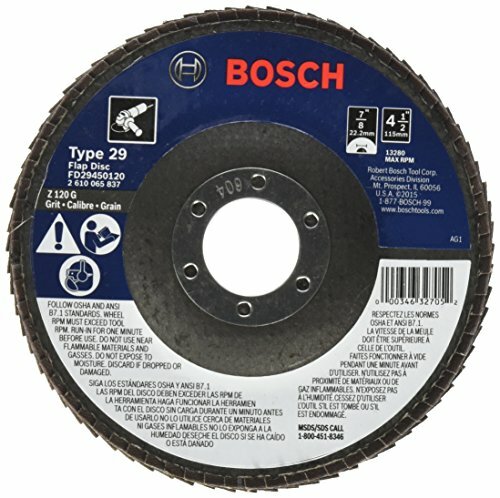 This accessories line is the perfect match for Bosch's trusted grinder lineup and applications include polishing, debris removal and dust extraction. 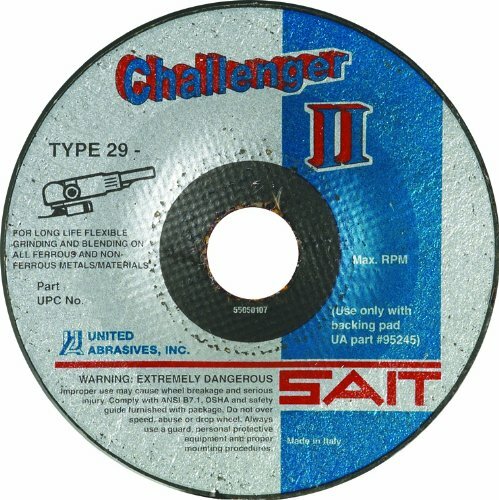 SAIT 27502 Flexible Grinding/Blending Wheel Type 29. Aluminum oxide grain. 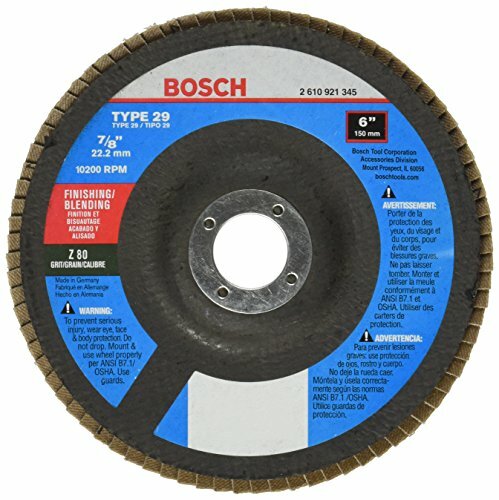 Open pattern on wheel or cool grinding and blending. Safe for use in the nuclear industry. Type 29 shape allows easy control in grinding and blending applications. Honeycomb, dimpled pattern on face allows for greater cooling action and longer life. For use on metal, stainless steel, aluminum and concrete.